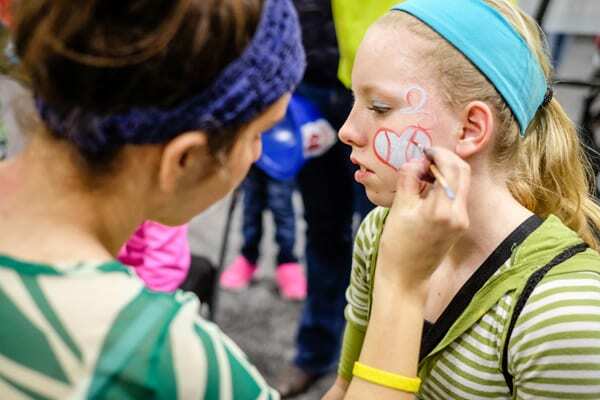 Kids 12 and under are always free at the Cincinnati Auto Expo, and there’s a ton of fun activities for them inside! As you enter the show, make sure you pick up your goody bag and passport, which will guide you to the various Family Zone activities throughout the show. Once you complete it, you’ll receive five tickets to enter to win an R/C car of your choice in our raffle! For the first time, stop by the Safe Travel Family Zone on Saturday, February 9 to meet animals from Cincinnati Zoo! A knowledgeable Zoo educator will have Zoo Animal Ambassadors prepared to meet visitors and teach them about the animals present. Back by popular demand, Cincinnati’s mascots will be at the show to greet fans and pose for pictures. Make sure you see Rosie and Mr. Redlegs, Who Dey, Xavier’s Musketeer and the Blue Blob, and the UC Bearcat at one of the Family Zone stations. Kids can also get their faces painted, grab a balloon animal, have a caricature made, and more, all free of charge! Another Auto Expo favorite, the Recreations Outlet display will feature a collection of jungle gyms, trampolines and recreation equipment. This is a great spot for the kids to take a break and burn off some extra energy! Check out the Dragonfly Firetruck! Make sure you stop by to visit Stonelick Township Fire Department’s Dragonfly Firetruck. 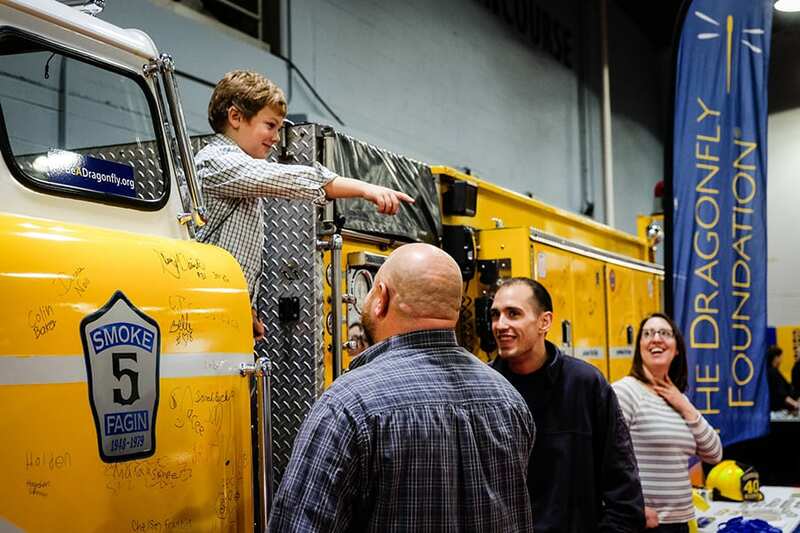 The Department uses the full functioning Firetruck to promote the Dragonfly Foundation, which provides comfort and support to children who have have cancer and have received bone marrow transplants as well as their families. Make Sure You’re Riding Safely! Child passenger safety specialists with Cincinnati Children’s Hospital will be at the Expo to answer all your questions on safe travel for infants and children. Not sure if your child is ready to move out of a booster seat? Want to make sure you’re using your child safety seat correctly? Check with the experts to make sure you’re doing everything you can to keep them safe! Win An R/C Car of Your Choice! Thanks to our the generosity of Greater Cincinnati Dealerships, everyone who completes their Safe Travel passport activity will receive five entries to win one of over 70 remote control cars! Entries will be collected throughout the show and winners will be announced on Sunday, February 12. Additional tickets are available for purchase with proceeds going to benefit Cincinnati Children’s Hospital.